A dark, elegant, responsive portfolio theme with a grid layout, perfect for showcasing your art. I liked this layout because, in my opinion, it is organized well. The posts, each of them, are clearly defined and separated by columns with my pictures, and it makes it easy for the eye to recognize that each post is different. I also liked that is is monochrome and the pictures stand out. However, on the other hand, I do not feel it is as interactive as I would like it to be when comparing it to the current theme I have, this theme, did not give me the flexibility of adding Widgets and Plugins. 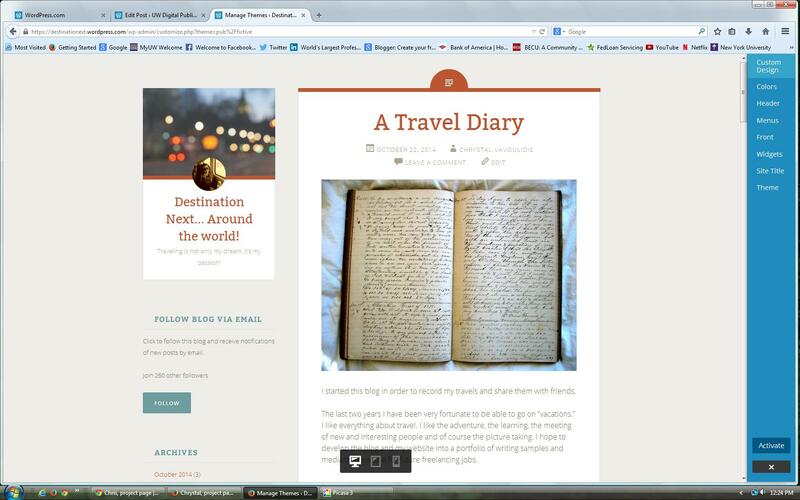 The second theme I liked was Fictive. 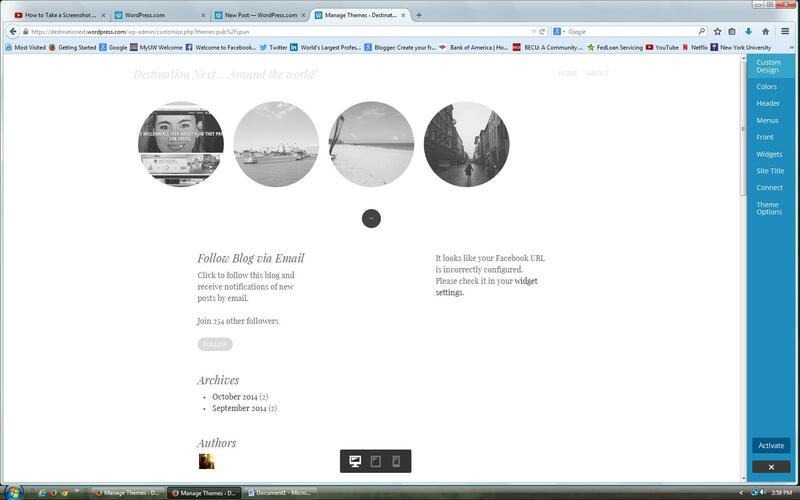 This theme is clean and organized and gives my blog the feel of a diary. I was impressed with the amount of flexibility this theme gives me. This particular theme had the advantage of looking good in different devices in comparison to the theme above. Fictive is all about you — your style, your look, your story. 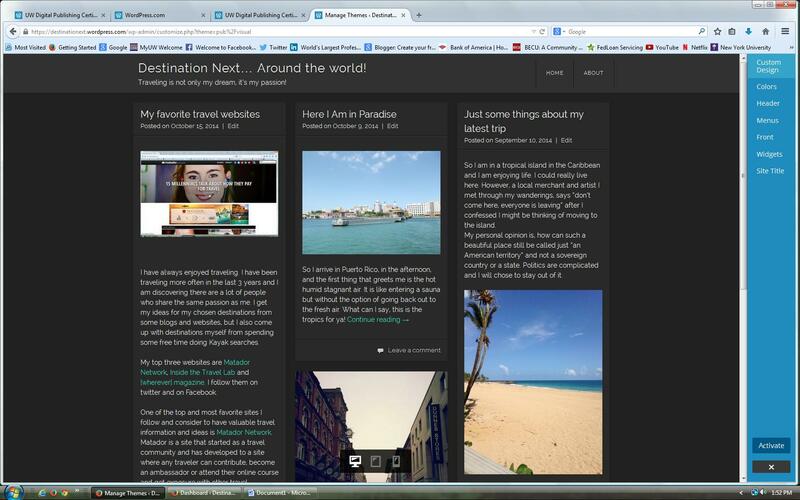 Make it personal with a custom header image, a Gravatar, and links to your favorite social networks. Use Post Formats to dress up your content, add a custom menu and widgets, or keep it simple with a fixed-position header. And lastly I liked Spun. The looks of this theme are contemporary and minimalist as its description also mentions. This theme also looked good in all three types of devices. I just wish there could be a title attached to the circles in order for the reader to be able to know why the picture is there and what the content will be. This entry was posted in Assignment on 22 October 2014 by Chrystal Vavoulidis.